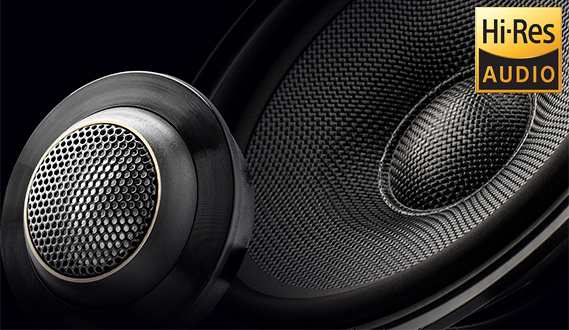 Designed for Hi-Res Audio, the new flagship Z-series lets you hear more with amazing clarity and dynamism. These flagship speakers are ideal for audiophiles, discerning music lovers, and the likes, combining Pioneer’s signature Open & Smooth™ sound quality with superior materials and installation flexibility. 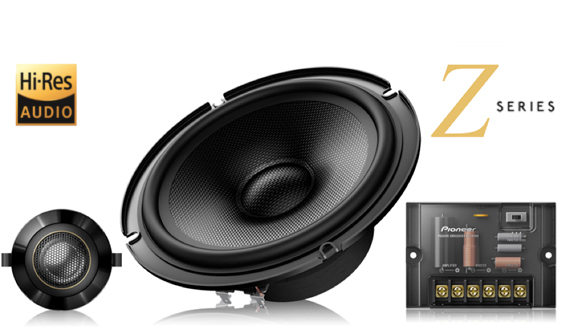 The Z-series speakers can faithfully reproduce Hi-Res Audio recordings. This is about the closest you can get to experiencing studio-quality sound, thanks to their enhanced frequency response of 96kHz – up to four times better than most regular speakers. 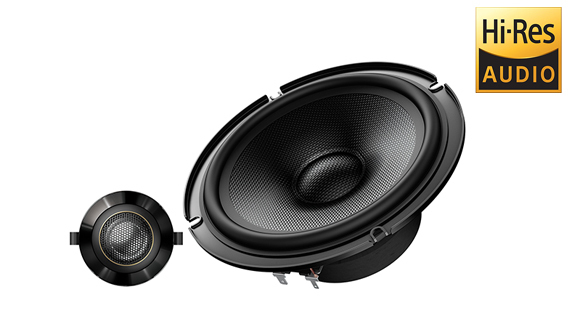 The speaker driver uses advanced Twaron® aramid fiber to achieve a wider dynamic range. This gives you a more engaging sound and stronger mid-bass. A special dual-layer cone construction also further enhances performance and minimises distortion. Enjoy crystal-clear and crisp sound with the new Z series tweeter, which is meticulously engineered with sophisticated HSDOM computer analysis, and tuned by Pioneer’s own professional audio experts. Besides a built-in swivel function, the Z series tweeter also supports a tri-position mounting kit for flush, surface and bracket mount, so that you can effortlessly conceal it behind a grille on your vehicle’s dashboard or door.